Two new executive-level CMOs have joined Australia’s marketing leadership ranks this week following appointments at Bupa and SocietyOne. Just days after announcing that its marketing director, John Moore, had been promoted to a customer experience role in the UK, Bupa has confirmed director of brand and health and care marketing, Jane Power, as its new marketing chief. Power has been with the health insurance provider since 2013 and played a key role in repositioning the brand towards a more health and care focus. She’s also been Bupa’s global brand lead, assisting the group to expand its brand presence globally, and retains this responsibility under her new director of marketing remit. Power will now join the Bupa executive team and report directly to incoming managing director, Richard Bowden, who starts in January. The company said it will appoint a new director of brand and health and care marketing at a later date. Prior to joining Bupa, Power was executive manager of direct life and executive manager of wealth management and direct risk at Suncorp Group. She also previously spent five years at MLC, and was formerly the head of product and marketing at Asteron prior to its merger with Suncorp. In a note to staff, Bupa people director, Naomi Attwood, said Power had a wealth of marketing and commercial experience that held her in good stead for the director of marketing post. 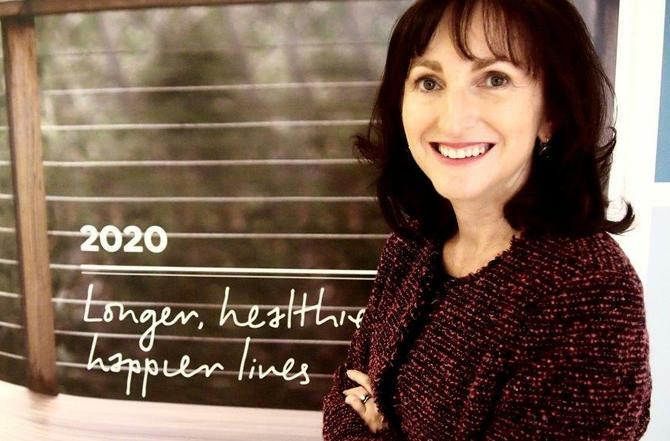 “More recently, Jane has passionately led our brand strategy for the past two years, bringing the Bupa brand in our Australian and more recently New Zealand markets to life in a new way,” she said. Power said the marketing group had worked very hard over recent years to reposition Bupa as a broad health and care company, noting the content platform, Blue Room, has a key element in this approach. Lending marketplace owner, SocietyOne, also announced a new CMO this week, appointing former global CMO for OFX (OzForex), Maria Loyez, to its executive ranks. She reports directly to CEO and managing director of SocietyOne, Jason Yetton. Under the new post, Loyez is responsible for all brand and marketing activities and has been set the task of helping the company achieve its five-year goal to grow borrower customers to 100,000 and take a 2-3 per cent share of the $100 billion consumer finance market. Loyez has spent the last 15 years in marketing and business development roles. Prior to joining OFX and leading its rebrand, she was director of channel marketing, advice and banking at AMP, with responsibility for B2B marketing for corporate super and AMP Bank. She also spent seven years with Optus and held a number of roles including GM of insights and communication, GM of awareness and acquisition, and head of marketing communications.